Ex-Army Ranger Finn McGregor finds his peace disturbed when his neighbour finds herself being menacingly stalked. A powerful psychological thriller. Want a high-stakes thriller read? Finn has packed away his combat instincts--but he may need them again when danger begins to stalk his quiet hideaway . 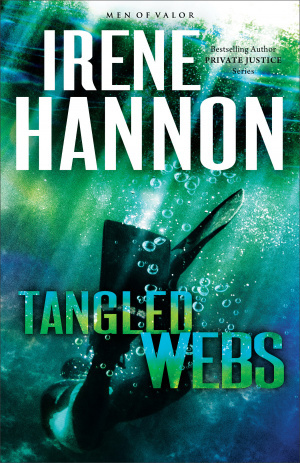 . .
Bestselling author and three-time RITA Award winner Irene Hannon draws readers into a web of psychological suspense where danger lurks in dark corners . . . and keeps them captive until the very last page. Tangled Webs by Irene Hannon was published by Fleming H. Revell Company in December 2016 and is our 23841st best seller. The ISBN for Tangled Webs is 9780800724542. Be the first to review Tangled Webs! Got a question? No problem! Just click here to ask us about Tangled Webs.